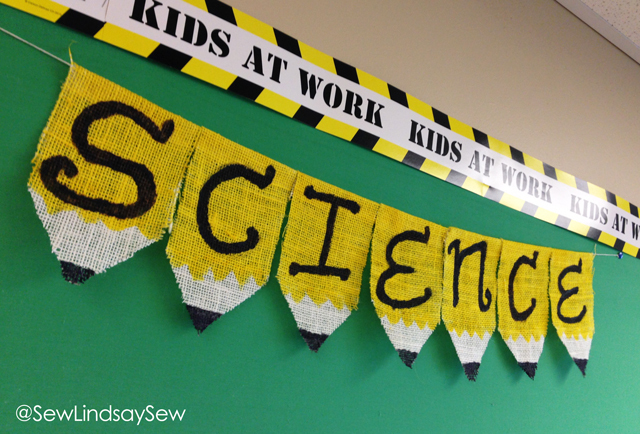 school | Sew Lindsay, Sew! Remember when I told you the last post was number 99, and the next post would be my hundredth blog post? Well, apparently I lied. When I published the last post, I got a pop-up thanking me for contributing my NINETY-EIGHTH post. What! How did I mess that up? I thought I had this all figured out. Apparently not. I’m fairly certain I could have gotten away with this lie and just said the next post was number 100 anyway. But I wouldn’t be able to sleep at night. So here’s a mini-update I’ll call Ninety-Nine and a Half… which would make my next post the hundredth. Sigh. Anyway, this is perfect timing because I have a mini-update. Remember the Pencil Bunting 101 tutorial from my friend Joe a few weeks ago? Well, now that school is officially in full swing, he’s sent some photos of his banners in action! If you and I know each other in real life and you’ve worked on a crafty project, chances are I’ve hounded you to write a blurb for my blog. Sometimes I beg to no avail and just write a blog for you (ah-hem, Krafty Katie). But for the FIRST TIME EVER, one of my friends has actually given in to this peer pressure. Anyway, remember my good friend Joe? I made him a Mickey Mouse “man bag” for his birthday. Joe is a fifth grade teacher and he’s been going crazy on the Pinterest for the past week or so, preparing ideas for his classroom. When he sent me a picture of pencil bunting he made for his classroom (you know how much I love bunting), I begged him to send me a write-up and photos! I know, I know – it’s mid-July and I’ve been MIA since Easter! Don’t panic! 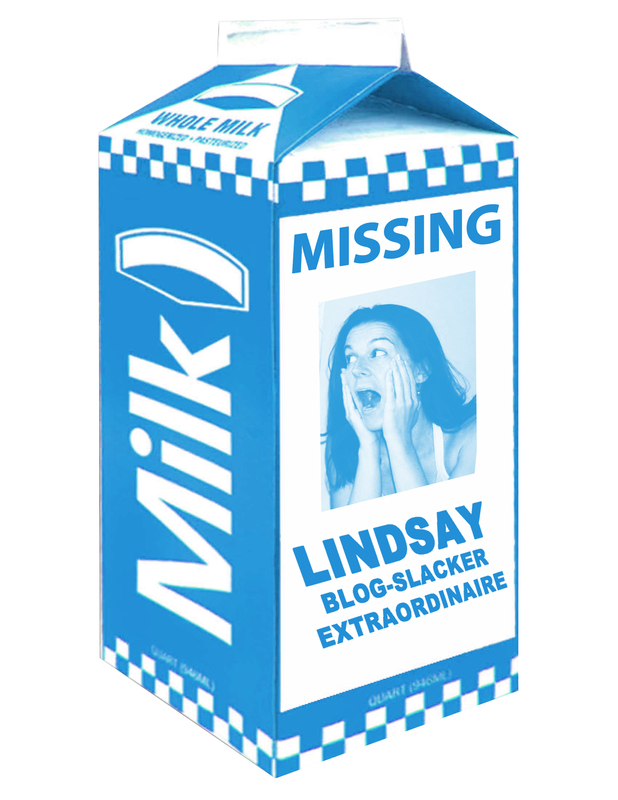 You can take my photo off the milk carton, now! Ahhh! Get me outta this box! I have some really exciting news, though. The reason I’ve been missing for so long is that I was preparing for, then experiencing, and then recovering from a glorious world tour! And as a result, I have some really great stories to share – even sewing stories. Wheee! Although I wasn’t able to blog while I was abroad, I did my best to update my Twitter account – @SewLindsaySew – as much as possible. I hope some of you were able to follow along! My glorious adventure included six countries, with flight layovers in two more! As a part of my MBA program, I traveled to Istanbul, Turkey and Budapest, Hungary to experience the international business world and some cultural fun with my classmates. And even after the academic portion was through, I extended the trip with some friends and traveled to Vienna, Austria; Stockholm, Sweden; Helsinki, Finland; and St. Petersburg and Moscow, Russia. WOW! As someone who had never left the United States prior to this adventure, I feel incredibly blessed that I was given this unbelievable opportunity and able to experience it with such great people. 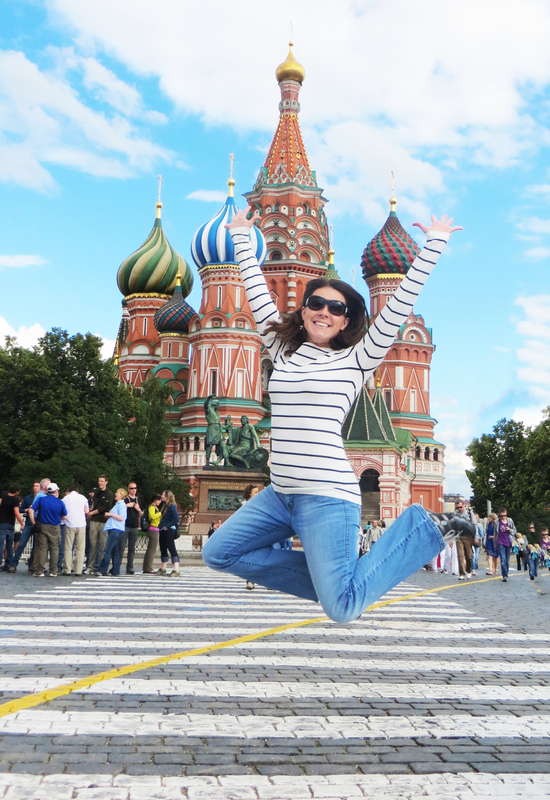 Flying high during an excursion to Red Square in Moscow! But as far as ADVENTURE goes, I know that this is just the first international escapade of many! I have a European electrical outlet adapter and a whole pile of international currency waiting to be put to good use one of these days. Ever since I bought my sewing machine a little over a year ago, I’ve been using a sad little TV tray for my sewing setup. Yes… a TV tray. Wah wah. 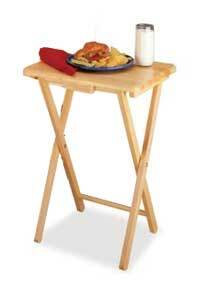 TV Trays: Ideal for lunch, not for sewing machines. I refuse to let this cozy nook be anything less than amazing. It was immediately clear that a TV tray sewing setup would NOT do my sewing getaway any justice. 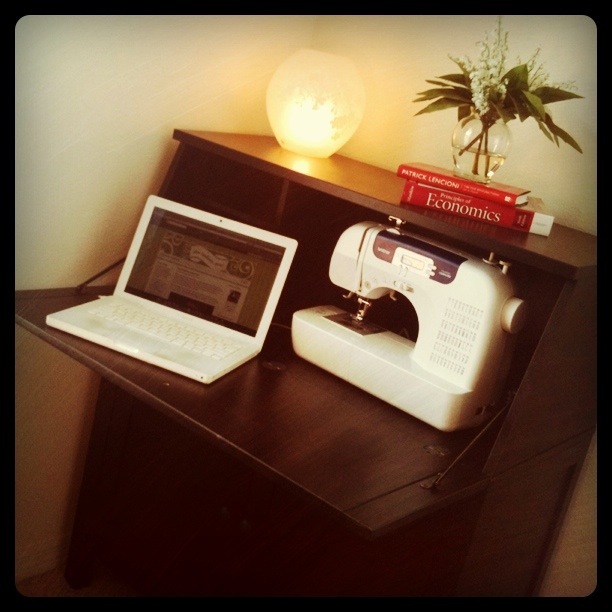 I’d like to introduce you to my new best friend: the HEMNES secretary desk from IKEA. I promise I will actually read that Econ book once I'm done using it as a photo prop. My love for this desk is threefold. And as a bonus, this desk matches my already existing HEMNES bedroom set. Yep. I might love this desk more than I love fabric softener. Anyone need a sad and lonely TV tray? SEW you want to go to school? Tis the season of PB&J, new shoes and a fresh box of crayons – back-to-school! And while shopping for brand new school supplies is one of my favorite things in the world, I have not be able to personally celebrate the back-to-school season in many years. I tend to live vicariously through my friends who are teachers until summertime rolls around – and then I want nothing to do with my teacher-friends since they don’t have to work and I don’t want to hear about it! Click the photo to read more about this bulletin board at the One Stitch Two Stitch blog! Since I’m not a teacher, there is no bulletin-board decorating in my future. However, I’m happy to report that I personally celebrated the back-to-school season this year as I recently started the journey towards my MBA. Sadly, I didn’t need to buy any school supplies for my first day – apparently, there is no need for a box of crayons in grad school. Regardless, I am appreciative that I am officially a part of the back-to-school season at all this year. I hope that this magical sewing bulletin board inspires my teacher pals. 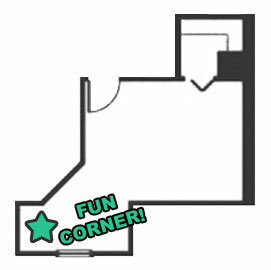 I’d love to see photos if you create a sewing theme on your boards!